I like that a lot, good work Graeme! The dial is much more legible than the original M1/M2 version. Mike did a great review on this one. Congrats on it Graeme. I think it's a good decision​ to ditch the fixed bars. This will look great on a canvas from Drew or Art. I actually like the idea of fixed bars. I normally wear ZULU straps and have had springbar failures. So, Graeme, if you plan on ditching a review copy with the fixed bars, please hit me up first. I dig it. CGSshorty wrote: I think it's a good decision​ to ditch the fixed bars. This will look great on a canvas from Drew or Art. Depends on demographic you are targeting. If you are trying to appeal to us watch nerds, I agree. If you are really promoting it as a tough, no nonsense military watch, then leave the fixed bars. There are only so many of the second group who will spend $500 on a watch. Great watch Graeme. And thanks for checking out the review guys! Is the automatic movement a 2824-2 ? non fixed strap bar models be available? Thanks for a great new watch! Just wanted to bump this one up as I got to handle the GMT for a couple weeks. Super tough watch that I never needed to baby or worry about. I loved the fixed lugs for this. 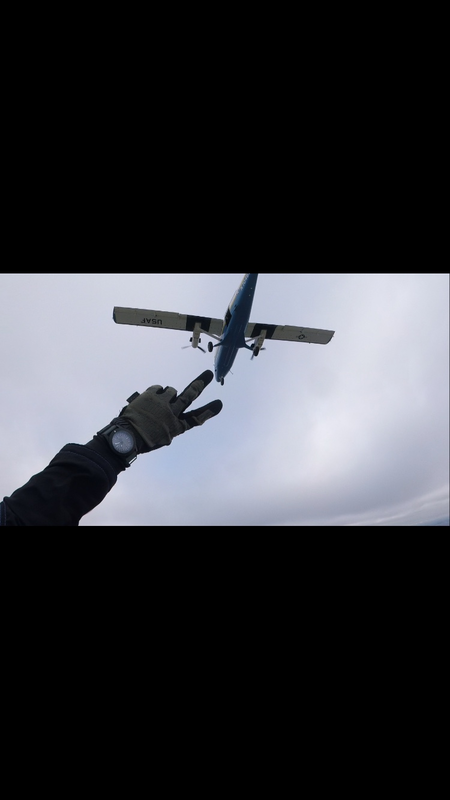 I took it on a bunch of skydives and didn't need to worry about losing it. I love the tight fit of the bezel for keeping out debris, I had it at the dropzone a couple weekends and it gets very sandy and dusty out there. Never affected the action at all. I love the GMT function because I'm on the road a lot with the AF Parachute Team. It's nice to set the GMT hand for wherever I am in the country and keep my home time set where it is. The watch kept very good time while I had it, no complaints there. The coating held up like a champ. I didn't baby it and it showed no signs of wear at all when I returned it. It was perfect to wear with any of my uniforms and wasn't super flashy, even though I received many compliments. Just an all around great watch. I really enjoyed my time with it. Perfect military watch. Here are a few pics from some jumps with it. Damn! Those are certainly some wrist shots that not many others can capture. Great stuff. Nice . Seems like the perfect watch for that sort of thing, i.e. 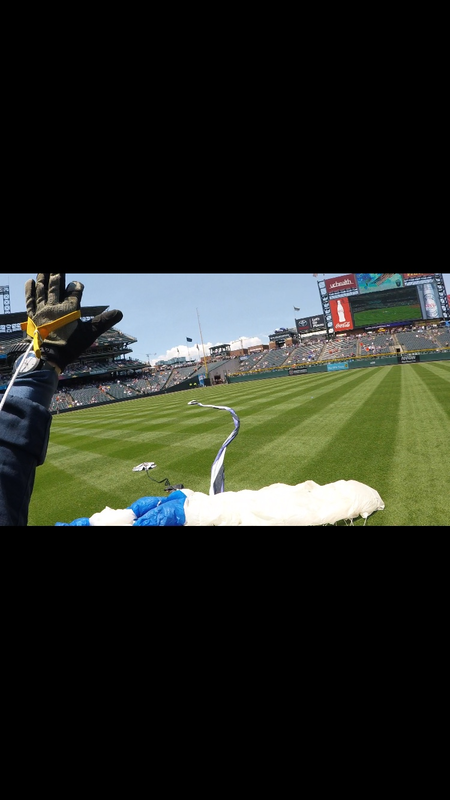 jumping out of airplanes into baseball stadiums. Thank you very much. I sure enjoyed taking them. Thank you! I really like this watch a LOT. Ha! I think it does the trick. i29alpha wrote: Just wanted to bump this one up as I got to handle the GMT for a couple weeks. Thanks for taking these photos!! They are brilliant!! Its great to see the watch being used this way. Really cool testimony on rough use. Thanks for sharing. Can I wear it in the shower? ...while washing dishes? These photos should be the response to all of those dumb questions. Thank you for making a sweet watch! I hope it gets to production! Definitely a rough use timepiece. Those are some awesome shots. 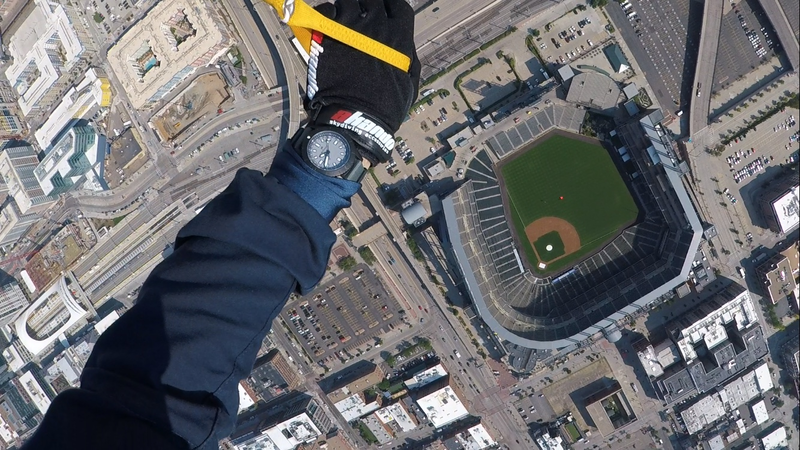 What stadium were you dropping into? It was Coors Field for the Rockies vs White Sox game.